Armstrong, Siobhán (harp), The Irish Consort (instrumental group, singing in Irish, singing in English, singing in French) and Crux (singing in Latin). Music, Ireland and the sixteenth century. Siobhán Armstrong DC1801, 2018. 1 CD. Armstrong, Siobhán (harp). Cláirseach na hÉireann = The harp of Ireland. Reissue (Maya Recordings, 2004). Maya Recordings MCD0401, 2013. 1 CD. Bene & Cormac = Benedict Morris (fiddle) and Cormac Crummy (guitar, banjo, bass). Wavelength. Bene & Cormac BMCCMD001, 2018. 1 CD. Casey, Yvonne (fiddle). Croí = Heart. Yvonne Casey YCCD002, 2018. 1 CD. Clannad (singing in Irish, singing in English, speech in English, instrumental group). Turas 1980. Reissue (Radio Bremen, 1980). Radio Bremen; MIG-Music GmbH MIG02092, 2018. 2 CDs. Dunbar, Eithne (singing in Irish, guitar). Mo rogha amhrán á chanadh ag Eithne Dunbar. [s.n., 2008]. 1 CD. Dunne, Stevie (banjo, guitar). Live at the Crosskeys Inn. Stevie Dunne, 2018. 1 CD + digital download. Fowlis, Julie (singing in Scottish Gaelic, singing in Irish, tin whistle), Éamon Doorley (bouzouki, singing in Irish, singing in Scottish Gaelic, fiddle), Zoë Conway (fiddle, singing in Irish, singing in Scottish Gaelic, tin whistle), John McIntyre (guitar, piano, singing in Irish, singing in Scottish Gaelic). Allt. Machair Records MACH010, 2018. 1 CD. Fretless, The (instrumental group). Live from the Art Farm. The Fretless, 2018. Digital download. Hiney, Camillus (accordion, tin whistle, singing in English). Bakers dozen. [Camillus Hiney, n.d.]. 1 CD. Howley, Padraig (singing in English, lilting, speech in English). From my home in Kilfenora. [Padraig Howley n.n., 2018]. 1 CD. Jeremiahs (instrumental group, singing in English). The femme fatale of Maine. The Jeremiahs. CD002, 2017. 1 CD. Johnson, Thomas (singing in English, tin whistle). A winter wish. Dr. Thomas Johnson; Ceol Connected, 2018. Digital download. Kerr, Barry (flute, uilleann pipes, guitar, bouzouki, singing in English) and Laura Kerr (fiddle). Castor Bay. [Barry Kerr & Laura Kerr n.n.,], 2018. 1 CD. Keville, Claire (harpsichord). Irish music on the harpsichord. Claire Keville CKCD004, 2018. 1 CD. Kinane, Barry (singing in English, guitar). The old grey cobblestone: story songs of old Dublin. Barry Kinane, 2018. 1 CD + digital download. Lillebo, Anders (piano accordion, piano, organ). Departure: traditional music from Ireland. Just for the Records JFR730, . 1 CD. McAllister, Amy (harp, singing in English). String on string. [Amy McAllister, 2017]. 1 CD. McCague, Dónal (fiddle) and Tommy Fitzharris (flute). The bank of turf. Dónal McCague & Tommy Fitzharris FMC001, 2018. 1 CD. McHugh, Joe (uilleann pipes). Amongst friends. Joe McHugh 2018. 1 CD + digital download. O’Breskey, Antoni (piano, singing in English, singing in Basque, trumpet, synth) and Ronnie Drew (singing in English). From Dublin to Bilbao. [Antoni O’ Breskey n.n., 2018]. 1 CD. O’Brien, Paul (singing in English, guitar). Songs from the North Lotts. Paul O’Brien 2009. 2 CDs. O’Dwyer, Robert (composer), Orla Boylan (singing in Irish), Robin Tritschler (singing in Irish), Gavan Ring (singing in Irish), RTÉ National Symphony Orchestra (instrumental music), Fergus Sheil (conductor) and Irish National Opera Chorus (singing in Irish). Eithne. RTÉ Lyric FM CD158, 2018. 2 CDs. O’Kane, Ciaran (singing in English, accordion). Round & round. [Ciaran O’Kane n.n., 2018]. 1 CD. O’Neill, John (accordion) and Family (instrumental music, singing in English). A place that’s home. [John O’Neill & Family n.n., 2018]. 1 CD. Ó Raghallaigh, Caoimhín (hardanger d’amour) and Garth Knox (viola d’amour). All soundings are true. Diatribe Records DIACD023, 2017. 1 CD + digital download. Pete’s Posse (instrumental group, singing in English). Down to the core. Epact Music EPACT122, 2015. 1 CD. Power, Jimmy (fiddle, speech in English). Go home and have your dinner: fiddle music recorded in London and Waterford 1958-1981. Favourite Records, 2018. 1 CD. [Raymond], Kierah (fiddle, singing in English). Strongbow. Kiérah, 2017. 1 CD. Rum Ragged (singing in English, instrumental group). Rum Ragged. Rum Ragged, 2016. 1 CD. Ryan, Seán (fiddle) and PJ Maloney (flute). Traditional music of Ireland volume one. Digitally remastered. Reissue [Avoca, 1960]. [s.n. n.n, 2018]. 1 CD. Various (singing in English, instrumental music). A keen time! Branch Come Home Year 2007. [Branch Come Home Year 2007] 0208875, 2007. 1 CD. Various (instrumental music, singing in various languages). Live recordings from the William Kennedy Piping Festival vol. 2. William Kennedy Piping Festival WKPFCD003, 2018. 2 CDs. Various (singing in Irish, instrumental music). A night in Trá Buí Duhooma. [s.n., n.d.]. 1 CD. Various (singing in Irish, instrumental music). Posadh an Phaoraigh: amhráin agus ceol ó Oirthear Chorcaí. [s.n., 2018]. 1 CD. Walther, Gudrun (singing in English, fiddle, accordion) and Jürgen Treyz (singing in English, guitar). Duo. Artes Records ARCD4060, 2017. 2 CDs. Byrne, Joe, and Michael Kelly. Sceichín a’ rinnce: Cill Móibhí ceol & lore. [Mayo]: [An Dreoilín], 2018. 95 pp. (pbk + 1 CD). Crooke, Elizabeth. “'One of our national treasures:’ The biography of the skull of Turlough Carolan the blind harper” Journal of the history of collections, (22 October 2018). Online article. Dillane, A., Martin J. Power, Eoin Devereux, and Amanda Haynes eds. Songs of social protest: international perspectives (protest, media and culture). [Lanham, Maryland:] Rowman & Littlefield, 2018. 682 pp. ISBN 9781786601254 (hbk). Donnelly, Seán. “Cuireadh píobaire’ – ‘Piper’s invitation:’ an Irish and Scottish Gaelic saying.” An píobaire 14, no. 4 (2018): 20–23. Eydmann, Stuart. “Sounds across the Moyle: musical resonances.” In Antrim and Argyll: some aspects of the connections, ed. William Roulston, 97–140. Belfast: Ulster Historical Foundation, 2018. ISBN 9781909556638 (pbk). Harvey, Robert. “‘When evening shadows fall:” the development of the composition of Irish traditional dance music in the ‘East Galway style’ from c. 1950.” PhD thesis, Dublin Institute Technology, 2018. Online thesis. The journal of music.“‘It was the beauty of the sound': an Interview with Catherine McEvoy.” (21 November 2018). Online article. Matthews, Brendan. “The Taylor brothers of Drogheda & Philadelphia.”An píobaire 14, no. 4 (2018): 31–39. Ní Bhriain, Orfhlaith, and Mick McCabe. 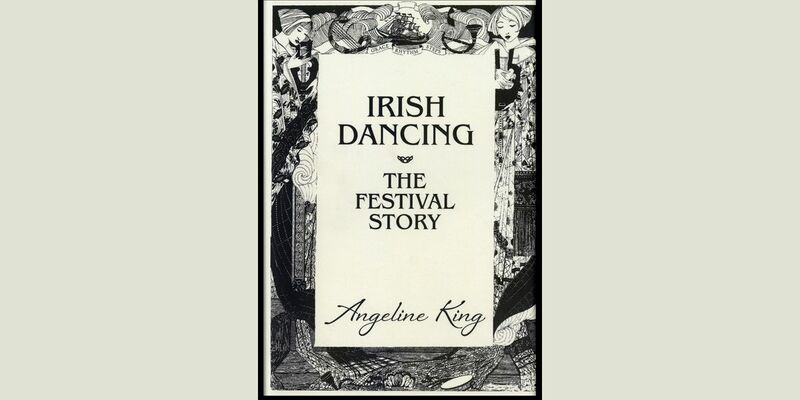 Jigs to Jacobites: 4000 years of Irish history told through 40 traditional set dances. Dublin: Independent Publishing Network, 2018. [i-ix]+93 pp. ISBN 9781789262865 (hbk). Ó Meachair, Tadhg Donncha Tomás. “Young composers in Irish traditional music c. 2004–2016: compositions, process and tradition.” MA thesis, University of Limerick, 2018. Online thesis. Quinn, Toner. “Mícheál Ó Súilleabháin’s example will continue to inspire.” The journal of music (8 November 2018). Online article. Quinn, Toner. “Why we should be listening to folk music.” The journal of music (29 November 2018). Online article. Rollins, Jaime. Lullabies and battle cries: music, identity and emotion among Republican parading bands in Northern Ireland. New York: Berghahn Books, 2018. [xiv]+255 pp. ISBN 9781785339219 (hbk). Scott, David. “Examining the Irish art song: original song settings of Irish texts by Irish composers, 1900–1930.” MA thesis, Dublin Institute Technology, 2018. Online thesis. Tom Davis Collection. 35 reel-to-reel tapes from an extensive collection collated by Tom Davis during the 1960s–2010s. Donated by Eleanor Davis. Noel Redican Collection. 3 compact cassettes tapes of non-commercial recordings featuring musicians such as Larry Redican, Vincent Broderick, Leo Rowsome and Paddy Taylor. Donated by Noel Redican. 1 VHS tape. A recording of a Jazz session in Mohill, Co. Leitrim, featuring musicians such as Mick Woods, a flute, clarinet and saxophone player from Drumshanbo, Co. Leitrim. Loaned for digitisation by Nancy Woods. Armagh City Folk Club Collection. 215 commercial & non-commercial cassette tapes. 4 reel-to-reel tapes. 10 editions of Ulster folklife magazine. Various assorted documentation and ephemera. Donated by John Butler. Armagh Pipers Club, Siobhán Armstrong, Eoin C. Bairéad, Joe Byrne per Michael Kelly, Orla Conningham, Zoë Conway, Reg Hall, Michael Holohan, Barry Kinane, Fabian Manning, Orfhlaith Ní Bhriain and Mick McCabe, Dermot McLaughlin, Seoirse Ó Dochartaigh, RTÉ Lyric FM, Tom Sherlock, Town of Branch (Branch Home Come Year) and Alan Woods.